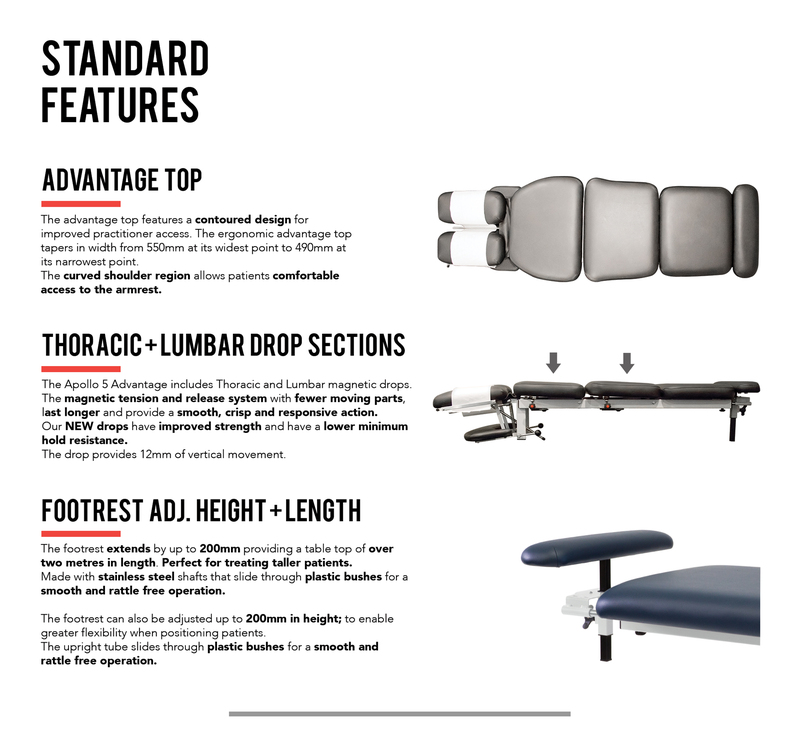 The New and improved Apollo 5 Advantage ™ Pro-lift chiro table will allow you to perform at your best. Proudly designed and made in our Australian factory it will provide years of trouble free service in the busiest clinic environment. The table drops use a proprietary magnetic tension and release system that is virtually maintenance free. Magnetic drops use less moving parts to provide longer life, less wear and tear, and a smoother movement. You get a crisp and responsive drop action every time - year after year, (unlike mechanical drop components that wear resulting in a less crisp drop action over time). 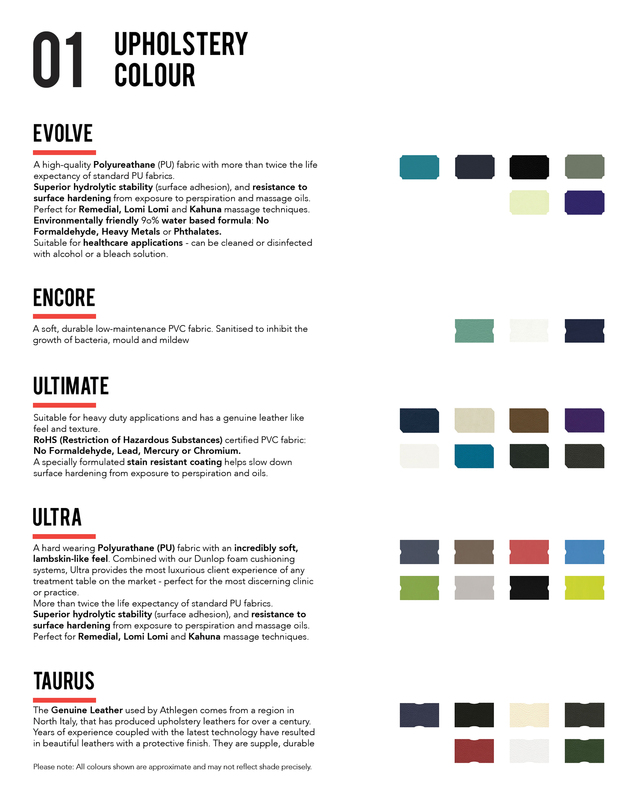 The ergonomic advantage top design allows excellent practitioner access. Our new improved Ultra firm Australian Dunlop cushioning system provides superior patient comfort and is perfectly suited to chiropractic adjustments and manipulations. Our extra powerful German motor enables fast height adjustment with less wasted time during treatments. The Apollo 5 is endorsed by the Chiropractors’ Association of Australia. Select options from pull down menus on the right when ordering. *Please allow 2-6 weeks for manufacture and shipping on all Pro models.